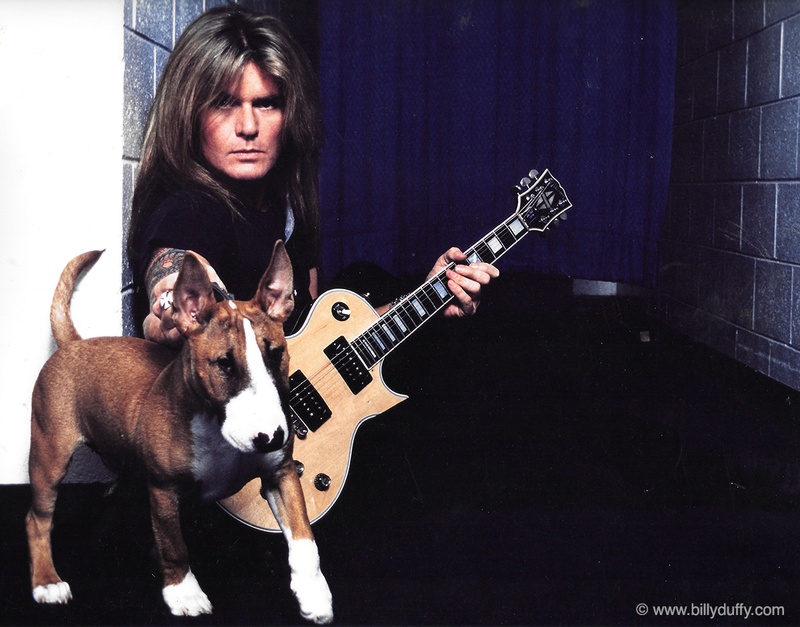 "This pic shot backstage during The Cult Sonic Temple US Tour features Luke my English Bull Terrier and he's quite young here. I got him as a puppy for xmas 1988 so probably summer 1989 .... maybe with Metallica but more likely us headlining with 'Bonham' opening. I love having a dog on the road as it makes everybody so much happier though I had to sneak him into some hotels (inside my bag) particularly in Florida as I recall apparently its "illegal" (or was then)... so silly! Luke even featured on my 'Sonic Temple' Tour Laminate."